The Walking Dead: Should AMC Worry About Season 8 Ratings? Should AMC Be Worried About The Walking Dead Ratings? The Walking Dead closed out its eighth season on Sunday with its second-least-watched finale ever. Per Nielsen, around 7.9 million viewers watched the AMC zombie drama the night it aired, roughly a million fewer than watched the conclusion of season two in March 2012 and about 3.3 million less than the audience for last April’s finale. Among adults under 50, the show drew 4.4 million viewers (a 3.4 rating), also the lowest in six years. 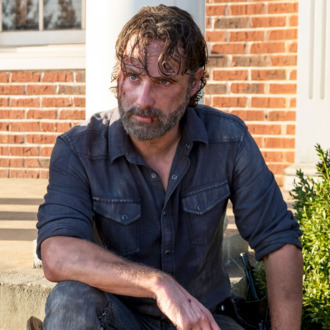 While these numbers will grow substantially once delayed digital and on-demand viewing is tallied, there’s no getting around it: The Walking Dead suffered serious ratings erosion this season, losing about a third of its young-adult audience. This isn’t good news for AMC, but it’s also far from a crisis. What’s most important to keep in mind about TWD is that, even in its somewhat diminished state, the series remains one of the biggest hits on television. While final DVR-adjusted data won’t be in until the end of the month, through episode 14, the current season of TWD was averaging roughly 12 million viewers and 6.9 million adults under 50, down 27 and 33 percent, respectively, compared to the same timeframe last season. Yes, that’s a significant decline — even in this, the era of perpetual ratings erosion. But until Roseanne burst back on to the scene a few weeks ago, TWD was on track to finish the season — yet again — as the No. 1 show on all of TV among adults under 50. It’s now possible ABC’s short-run sitcom revival (which will air eight weeks this season, versus 16 for TWD) will end up with that No. 1 slot, assuming it doesn’t start to fall off in coming weeks. But that will still leave TWD as TV’s No. 1 drama in the key demo, ahead of even NBC’s Super Bowl–boosted and red-hot This Is Us. This is no small feat for an eight-year-old cable show. AMC also continues to leverage the still-massive fan TWD fan base to boost its schedule year-round. The Fear the Walking Dead spinoff isn’t a blockbuster hit, but it’s still a very real success, with Sunday’s season four premiere attracting just over 4 million viewers behind the TWD finale. Weekly post-show Talking Dead also continues to pull strong ratings while costing the network next to nothing to produce. AMC also used its zombie pals to recruit an audience for new historical drama The Terror, premiering the show behind a TWD episode last month before moving it to Monday night. While many who sampled the premiere didn’t return, The Terror has landed among the top five cable shows (including delayed viewing) every week this month. Meanwhile, even though TWD’s linear ratings decline will surely cost AMC some revenue as advertisers seek to cut better deals in the light of the ratings declines, the network will still reap plenty of profit from international and streaming rights to the show. Licensing deals for products tied to the show are also a very big business for the network – and perhaps most importantly over the past few years, AMC was able to cut very lucrative long-term distribution deals with various cable providers thanks to the halo effect of TWD. Those subscription fee gains won’t be going away any time soon. Again, none of this glass-half-full thinking should suggest the ratings decline for TWD is irrelevant or unimportant. Yes, lots of folks are opting out of the linear TV universe altogether, so a decent chunk of TWD’s ratings falloff can likely be chalked up to viewers who’ll simply wait until they can binge the full season on Netflix. But even in this new era of decline, losing one-third of your audience over the space of a year — and about half your audience over the past two or three years — suggests some viewers simply aren’t down with where the show has gone creatively over the past couple of seasons. Some TWD watchers think AMC is aware of the need for new creative energy on the show, noting its recent promotion of showrunner Scott Gimple to a new role overseeing the entire TWD universe. The move will result in Angela Kang taking the reins as the new day-to-day showrunner next season, and a chance for a creative reset. But Gimple’s new role also means he’ll have time to work on expanding the entire TWD universe in various media, including — possibly — a new TWD spinoff or series inspired by the original. AMC execs have given no hint they’re even considering another show from the zombie space, but given how many Law & Order, Chicago Fire, and CSI spinoffs there were at those show’s respective peaks, it would be foolish to rule it out. Much the way HBO has no intention of letting Game of Thrones go away completely after next year’s finale, it seems hard to imagine AMC is anywhere close to burying its Dead.